If you are looking for an island paradise that is far from the tourist madness and features unspoilt beauty then Bocas del Toro may be the place for you. 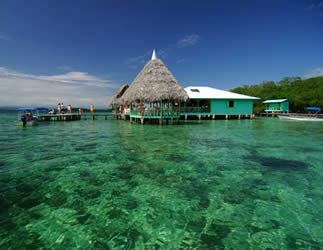 This idyllic spot in Panama is an archipelago made up of nine islands and hundreds of cays and islets. In the country’s northeastern corner—a one-hour flight from either Panama City or San José, Costa Rica—it’s a sanctuary where the main mode of transportation is a wooden motorboat, dolphins swim through crystalline waters, and dockside restaurants serve the local fishermen’s catch of the day.